Warm, witty and nostalgic, these tales are just like a friendly chat over the back fence, or the banter of a backyard BBQ. They will stir your own memories: of hot summer days and cooling off under the sprinkler while Dad works in the garden with the radio tuned to the sports results; that time Dad tried to teach you to drive - and then got out of the car and kissed the ground; or taking your own kids on a family road trip. Fatherhood is full of memories: the happy, the hilarious, the sad, bad, and the unexpectedly poignant moments. You will laugh, you may even cry - but you will recognise yourself and those you love somewhere in these pages. William McInnes is one of Australia's most popular writers, delighting readers with his memoirs A MAN'S GOT TO HAVE A HOBBY and THAT'D BE RIGHT, his novels CRICKET KINGS, THE LAUGHING CLOWNS and THE BIRDWATCHER, and his insight into Australian life since the 1940s, written with Essential Media and Entertainment, THE MAKING OF MODERN AUSTRALIA. In 2011, with his wife Sarah Watt he co-wrote WORSE THINGS HAPPEN AT SEA, which was named the best non-fiction title in the ABIA and the Indie Awards in 2012. In 2014, he wrote HOLIDAYS, his unique perspective on the Australian obsession with taking a hard-earned break. Also an award-winning actor, William has won two Logies and an AFI Award for Best Actor for his role in the film UNFINISHED SKY. He received critical and public acclaim for his leading role in the film LOOK BOTH WAYS, written and directed by Sarah Watt, and recently starred in the ABC television series THE TIME OF OUR LIVES and HELLO BIRDIE. 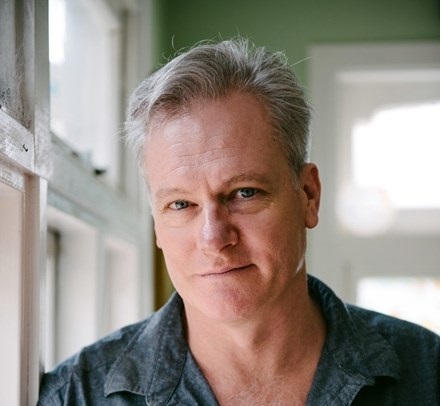 William McInnes grew up in Queensland and lives in Melbourne with his two children. Mcinnes Always worth a read.